I have three multirotors. The Drone which made its first flight in 2010, the Videodrone (2013) and the Little Devil, a miniature hexacopter, which I made as my flying portfolio in 2013 when I was seeking for a job after graduation. Why in the Earth I needed one more? I consider my four-year old Drone as complete project and I will not upgrade it any more. It is a product of its time and a showcase of my skills back then. Of course, I will keep it like all my previous projects, in a complete flying condition in which it will remain. My other copter, the Videodrone is a heavy and large machine, built solely for aerial photography which it handles very well. But hauling a heavy, power-hungry and expensive device around just for fun is sometimes a bit difficult. 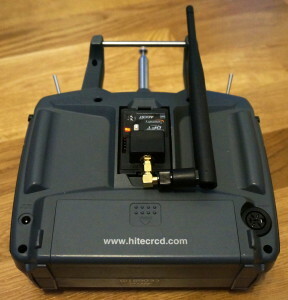 And the miniature hexacopter is only good for short indoor flights. So there was clearly room for one small aerobatic machine that is easy to transport. But there was also one more big thing why I wanted this machine. 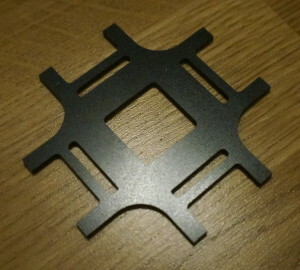 For a long time, since I started this hobby, I have been searching for a multirotor frame, that is made the right way in my opinion. Of carbon fiber. Featuring a monocoque structure where the shell of the machine is the load-carrying part, hiding all the electronics and wiring inside. 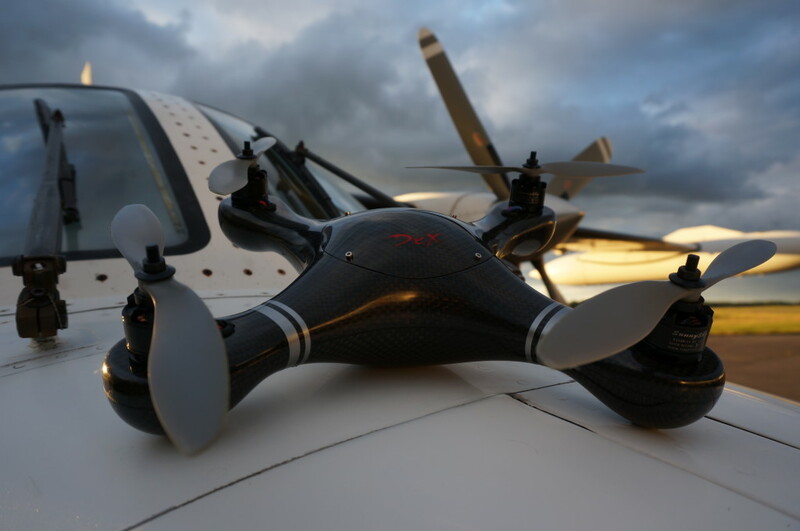 When every single high-performance vehicle, ranging from Formula One cars to modern general aviation aircraft and fighter jets are built this way, why multirotors are not? After two weeks the Dex Mini Quad arrived. It was well packed, to protect the surroundings and post office from damages. According to the video above, the frame itself will survive pretty much everything. It exceeded all of my already high expectations . It was a completely flawless, very nicely finished piece of art, hand-made of 100% CF. Now this is the way to build these things! And now it was my turn to make this work of art to fly! The frame had no pre-made holes which allowed me to choose how to mount motors and other hardware which I liked. It had small notches on its arms to help drilling centered holes for motors. The frame can be made waterproof, but although I live near the very large lake, Saimaa, I did not consider that important for me. So my installation differs from those who made it waterproof. 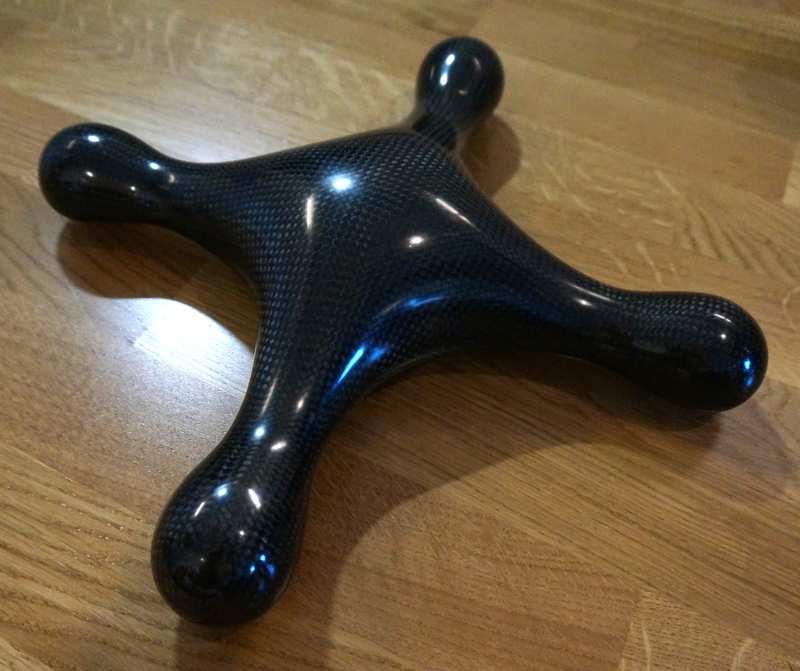 Although carbon fiber is an exceptionally good material for building high-performance machines, there are few drawbacks with it, which is why I normally avoid using it. 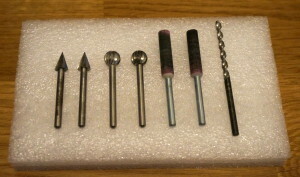 It is easy to work with, but it is hard for your tools which wear out very quickly. But the more important thing to consider is the dust. It is composed of very small fibers and resin dust which make it being far from healthy. To avoid dust, the work can be done either by wetting the surface or using a vacuum to clean off the dust as it is produced while wearing a proper personal protective equipment. A good pair of goggles and a good respirator are essential if you ask me as I find the carbon dust irritating. The gear I used are probably a little overkill, but they do the task and I do not want to risk my health with my hobbies. The protective gear are not expensive and they can also be used with other projects like I do, featuring dust, paint- and soldering fumes which are often present in DIY projects. While the boring safety stuff has now been dealt with, it was time to get to work and build the thing. As making fixtures for my CNC mill would have been very difficult for this kind of a workpiece, I ended up using a small rotary tool for the task. I used small conical, sharp-headed bits to mark the holes which were then drilled using a 3 mm metal drill. Because I was worried about the de-laminating or chipping the fiber, I did not want to use larger drill bits for larger holes. 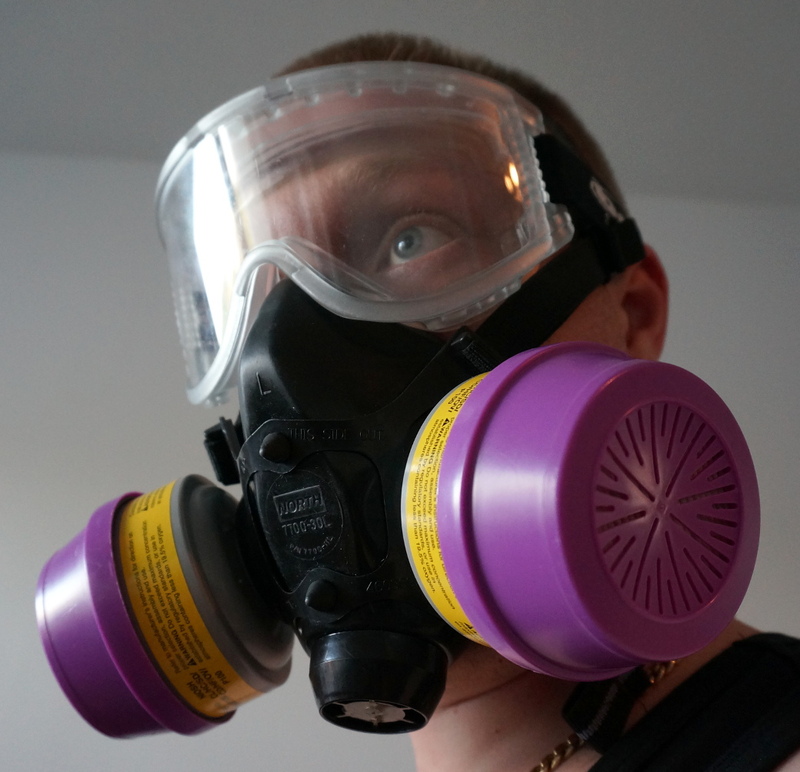 I used ball-headed multi-flute milling bits to enlarge the needed holes and then enlarged them to their final size using sanding tools which is why I wanted to wear a respirator. Even the miniature sanding tools managed to produce a good amount of rather irritating dust. It also required a very steady hand and a caliber to produce smooth, symmetric and precise holes but I found the process to be more controllable than using large, chipping drill bits. After the work was done, all the milling bits I used were worn out. 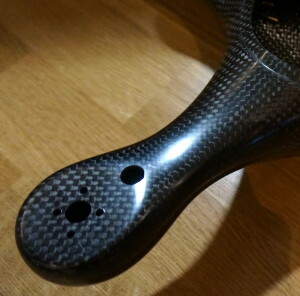 Although they were made by a well-known brand, and recommended for carbon fiber, they were not sharp at all even after few holes. The motors are mounted to the frame using M3 hex machine screws. For the installation I drilled 9 mm holes under the arms, which I later closed with rubber caps. 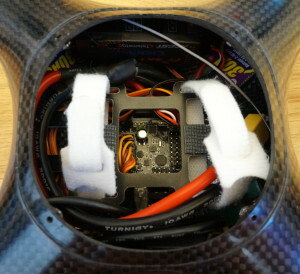 The caps which are not flush with the surface, also protect the arms when taking off or landing. Two more 9 mm holes were drilled; one for the motor shaft end and one for motor power wires. Rubber grommets were installed to prevent the silicone-insulated wires being damaged on the sharp edges. After building few radio-controlled aircraft using my traditional recipe, containing the 8-bit MultiWii, Turnigy F40A speed controllers and 35 MHz radios, I wanted to try something different. The 8-bit MultiWii was upgraded to Naze32, which is an implementation of the MultiWii on 32-bit ARM processor, made by a Japanese programmer Dongs. The ARM provides processing power that leaves the 8-bit 16 MHz AVR far behind, providing a way more stable multirotor with a very crisp control response. 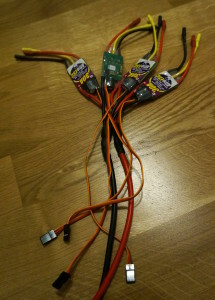 The speed controllers I selected were 30A Afro ESC’s. They are made from ground up to multicopters. 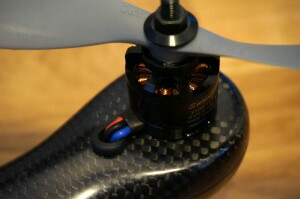 Motors I selected were SunnySky X2208-1260KV brushless motors. From the Videodrone, I had good experiences of the SunnySky -branded motors and these ones were as good as my previous ones, too. 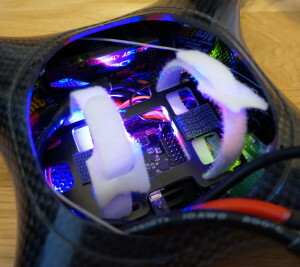 The very rigid carbon frame combined with 32-bit processing power, made the Hammer simply the best multirotor I have ever flown. 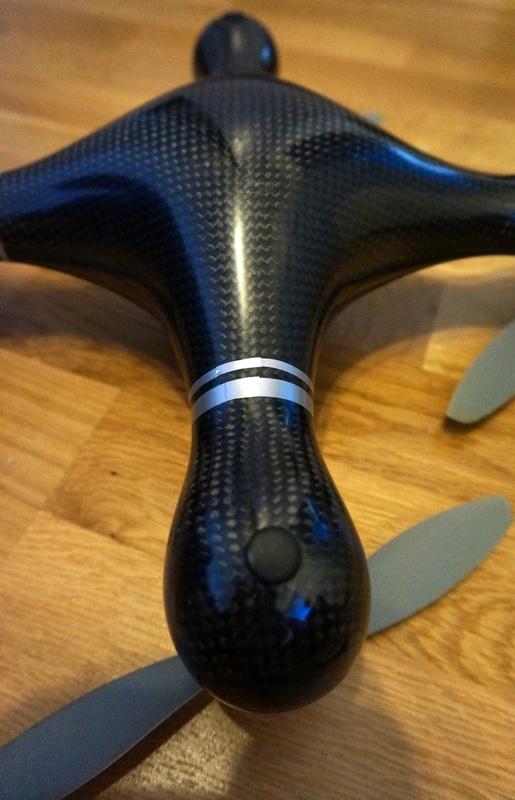 The control response is very sharp and precise and its thrust-to-weight ratio is incredible. The copter hovers at 30-40% throttle, holds its position with ease but when floored, it really goes like hell, no matter what the direction. 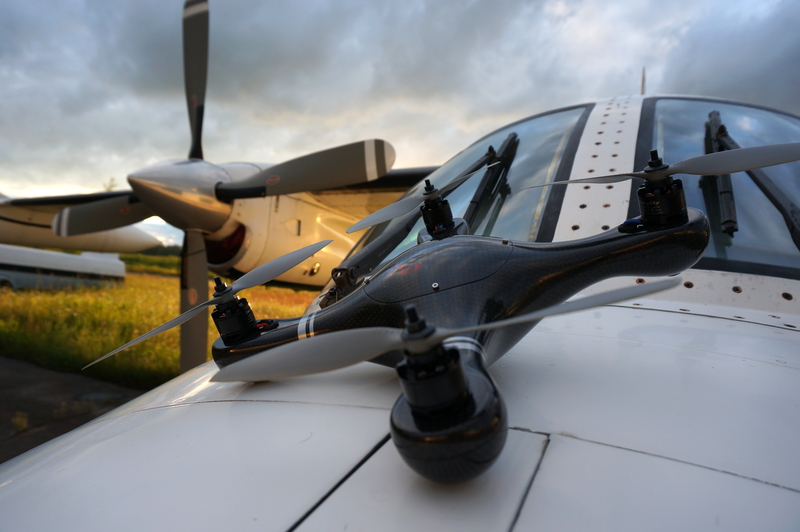 With plenty of power, it is easy and safe to fly, since it can be recovered with power from any situation. It is a rocket with four propellers. But even during full-throttle climbs and other high power maneuvers, it is very stable and does precisely everything that it is asked to do. It has endurance of ~10 minutes, which is pure enjoyment from the take-off to landing.